Associate professor Selin Kara and her bioreactor, that uses light as catalyst and natural enzymes as ingredients to synthesize green chemicals. 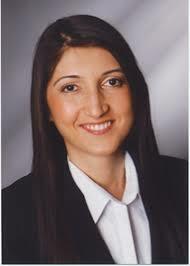 Photo: Melissa Yildirim, AU Foto. What if you could create 100 per cent biodegradable plastic and chemical compounds using only natural ingredients and light, generating no waste at all, and 100 per cent sustainable? That’s actually the vision of an international research team currently working towards the synthesis of green chemicals for our daily life; chemicals such as polymers, pharmaceuticals and fine chemicals – an industry that today actually belong amongst the most polluting in the world, not just because of what ends up in nature, but also because of production processes that traditionally produces a lot more waste than product. 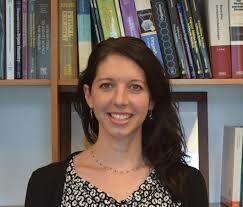 Congratulations to Dr. Caroline Paul! Dr. Caroline Paul recently accepted the tenure-track position of Assistant Professor at the Department of Biotechnology in TU Delft. She will still continue as the main supervisor of ESR9. Check out her profile here. 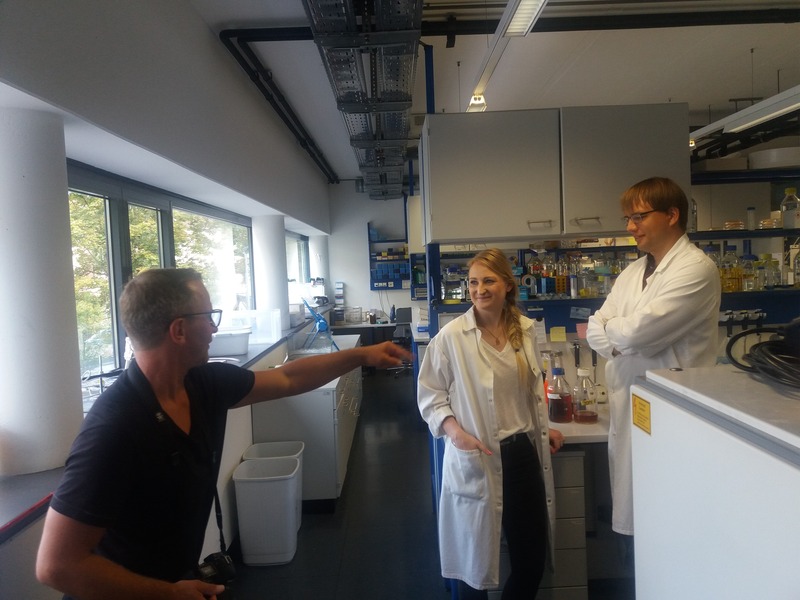 Dr. Paul was awarded the Best Poster Prize at Novel Enzymes 2018 in Darmstadt (novelenzymes2018.eu), sponsored by the company Prozomix Ltd (UK), for the poster entitled, “Most significant concept of revelation contributing to the science of Novel Enzymes”. 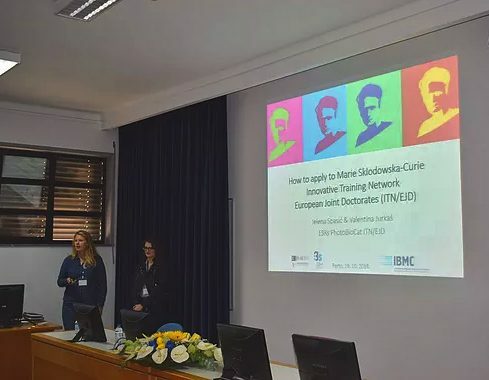 ESRs Valentina and Jelena participated in the recent 2nd Meeting in FUNCTIONAL BIOLOGY AND BIOTECHNOLOGY OF PLANTS and presented their talk entitled, “How to apply to a Marie Sklodowska Curie Innovative Training Network – European Joint Doctorates (ITN/EJD)”. In the first part of the presentation, they explained what are MSCA actions, different PhD programs and how to apply for them. In the second part they presented general information about the PhotoBioCat program. 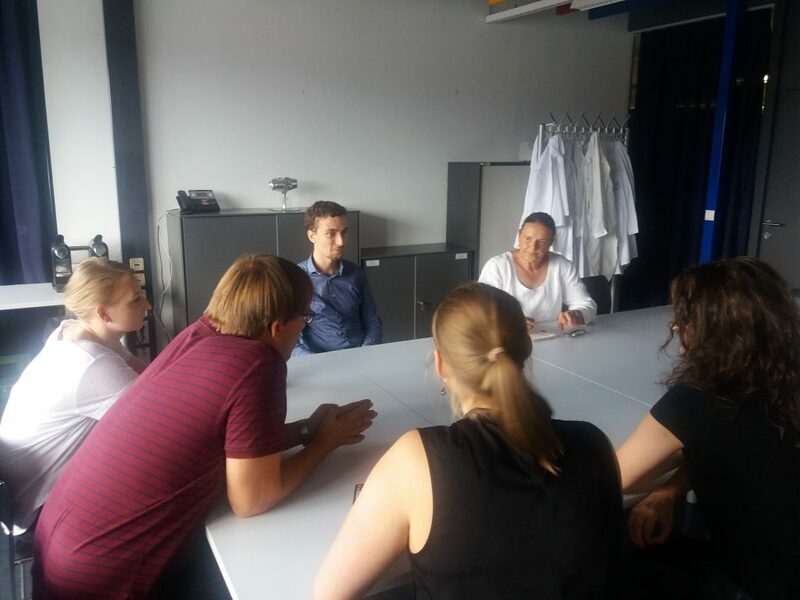 Last August 21, 2018, the PhotoBioCat team in Graz was invited for an Interview with Ms. Barbara Hoheneder from the Spirit of Styria Magazine. The article would highlight the Scientific Aims of the project, and the general overview of photo biocatalysis and its contribution to society. 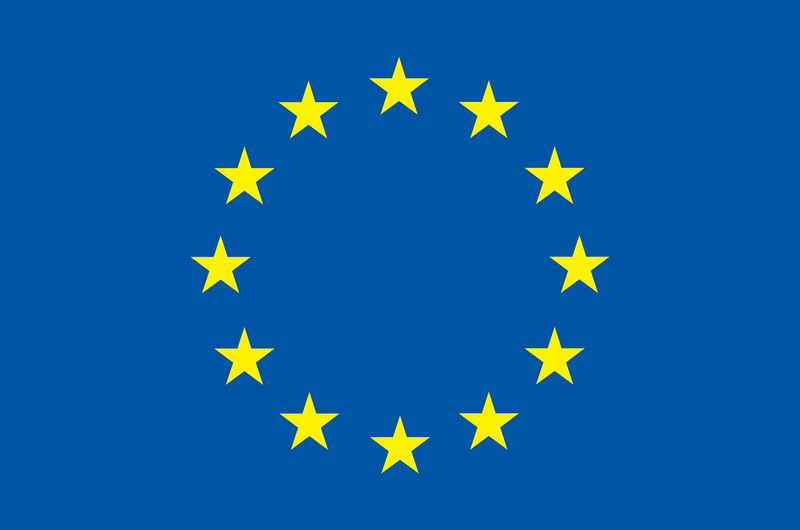 The ESRs and the European Joint Doctorate Program will also be mentioned. Here are some photos behind the scenes during the interview. Check out the Spirit of Styria Magazine here. 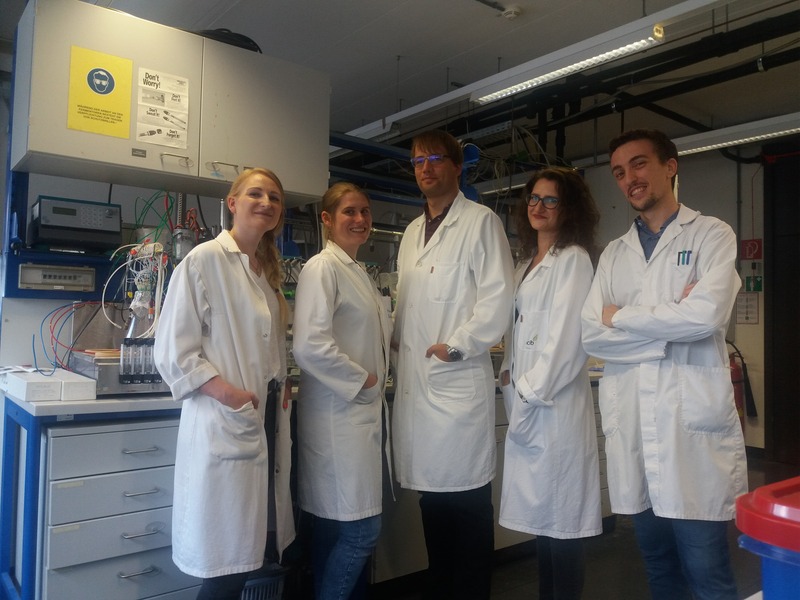 The Team from University of Graz contributed their time and their skills during the "Month of free education" ("Monat der freien Bildung"), which is an initiative promoting the idea that education is for everyone and everywhere. 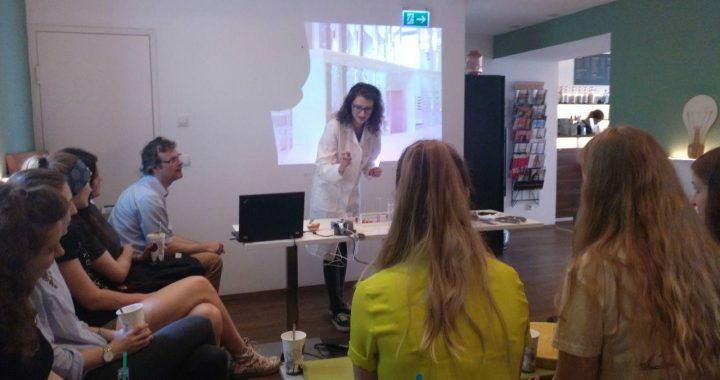 On May 2018, public lectures were held in public places, with the aim to show how important education is for society and what is taught at Styrian universities in general. 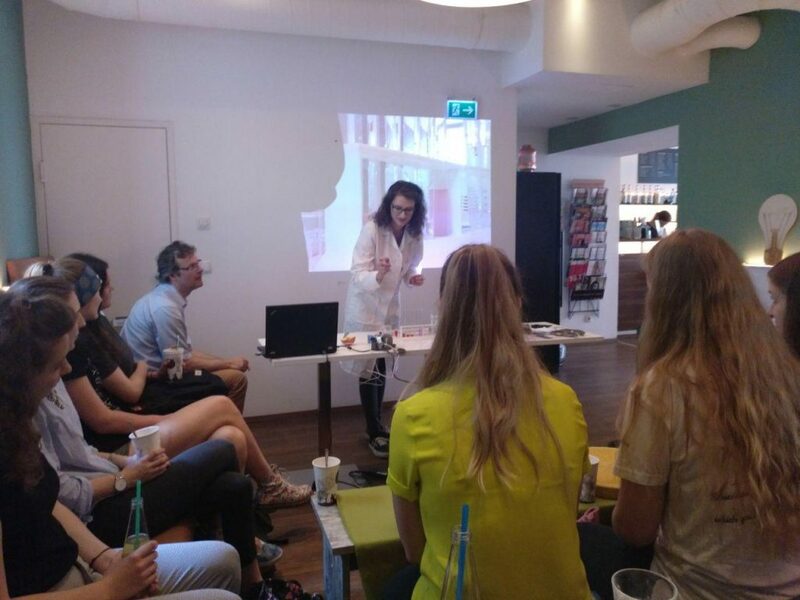 To close the month (May 30, 2018), Professor Kroutil was invited to give a lecture in a relaxed atmosphere of Cafe Barista´s at Tummeplatz in Graz. Around 30 people attended the lecture, which are mostly university and high school students. To spice up the lecture, Luca and Valentina were in charge of designing a simple, effective and safe experiment to demonstrate the power of biocatalysis. For the experiment, they prepared hydrogen peroxide solutions of different pH´s, colored by pH indicators and added catalysts to degrade them to water and oxygen which can be easily seen as formation of bubbles. In one colorful experiment, it showed both the power of enzymatic catalysis and one of its main advantages: optimum performance in mild reaction conditions. 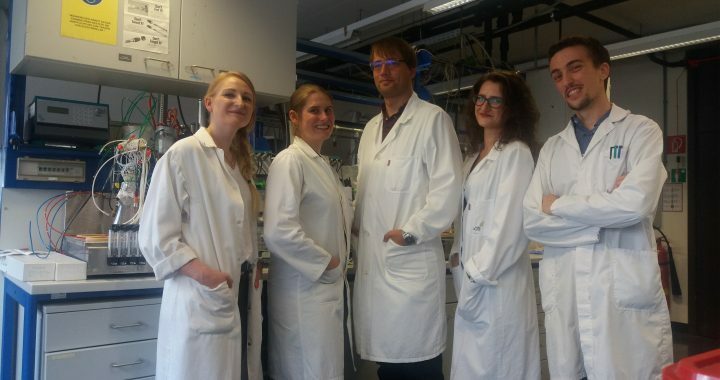 "Bringing science out in the everyday was a nice break from the usual lab-office routine." This project has received funding from the European Union’s Horizon 2020 MSCA ITN-EJD program under grant agreement No 764920.